This is another of my mom’s recipes that she claims I now make better than she does. I just think everything tastes better when someone else makes it for you. It is delicious when the salmon is warm, and also when chilled on top of a bed of greens with the salsa as dressing. 2 filets salmon- I’m conflicted about fish and where it comes from. I don’t eat it often, and get overwhelmed by figuring out what options are the most healthful/sustainable. Buy fish that goes with your conscience on farmed/wild caught etc. Small sweet onion, roughly chopped. 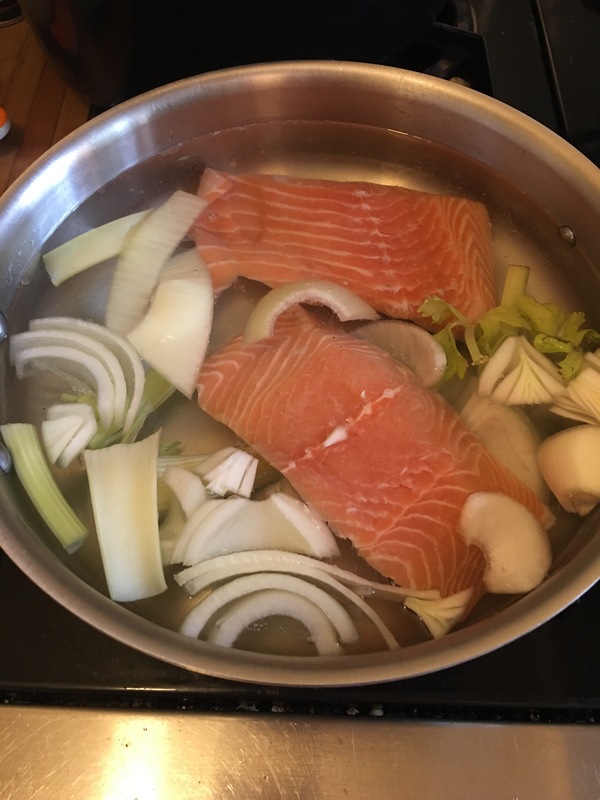 Water to cover salmon in a large shallow pot. Place all ingredients in a large, shallow pot. Being to a simmer and allow to simmer 15 minutes. 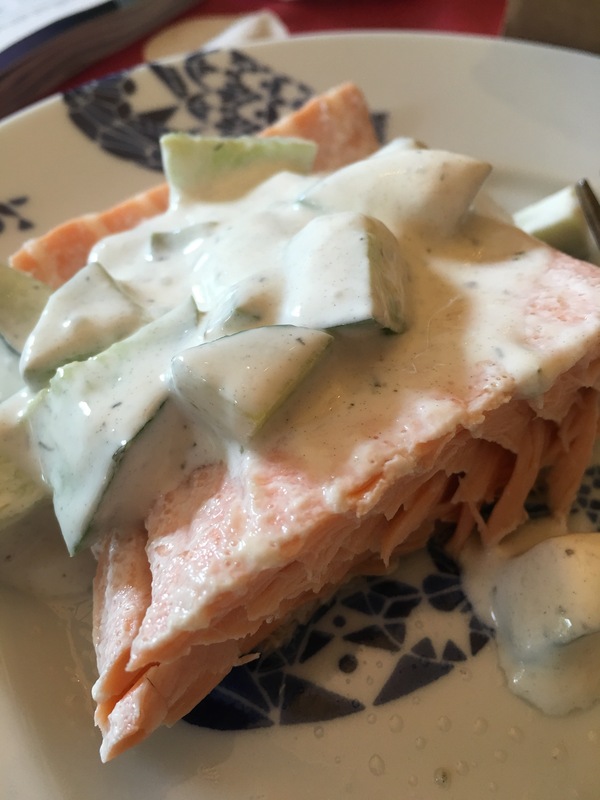 Remove salmon to a plate, discard water and veggies. 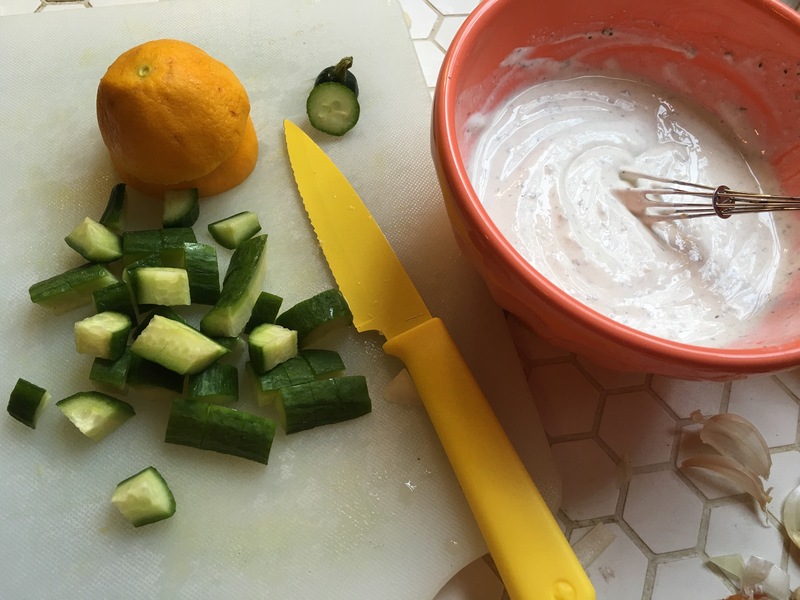 Mix sour cream with lemon juice and all following ingredients. When well mixed, stir in cucumber. Cover and refrigerate until ready to eat. Stir again before serving.